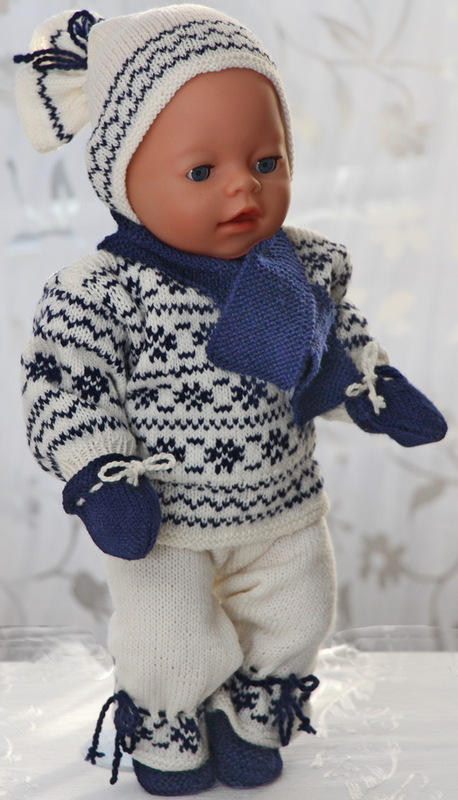 Passer 18" dukker som Baby born, Alexander dukken, American Girl doll. 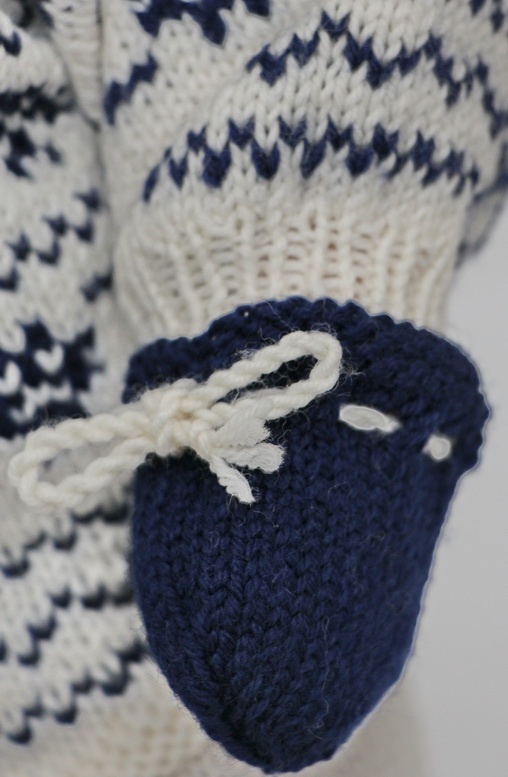 Then I have decided to knit another typical Norwegian sweater in blue and white while we are waiting for the Spring time here. 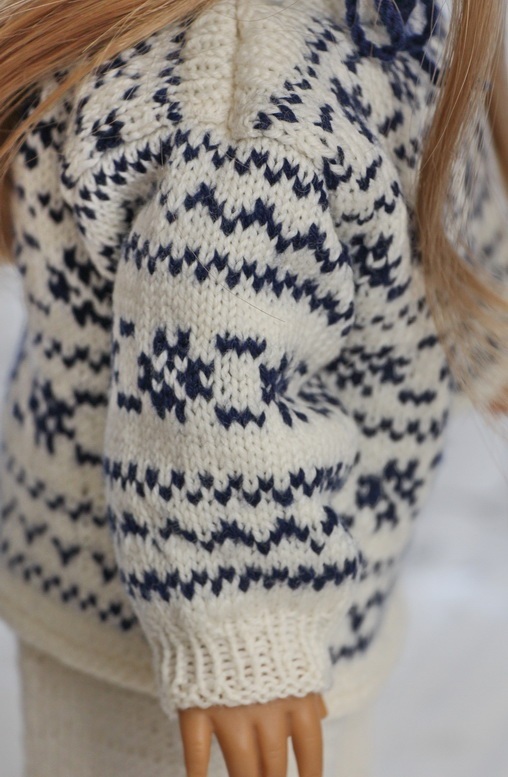 Beautiful clothes for cold days in the North. 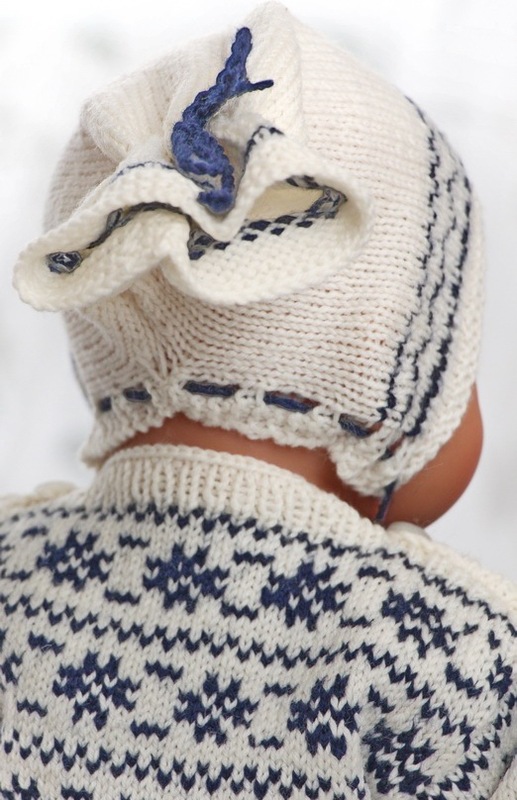 ... small patterns from old Norwegian sweaters and used some of these for the sweaters I knit for my dolls. 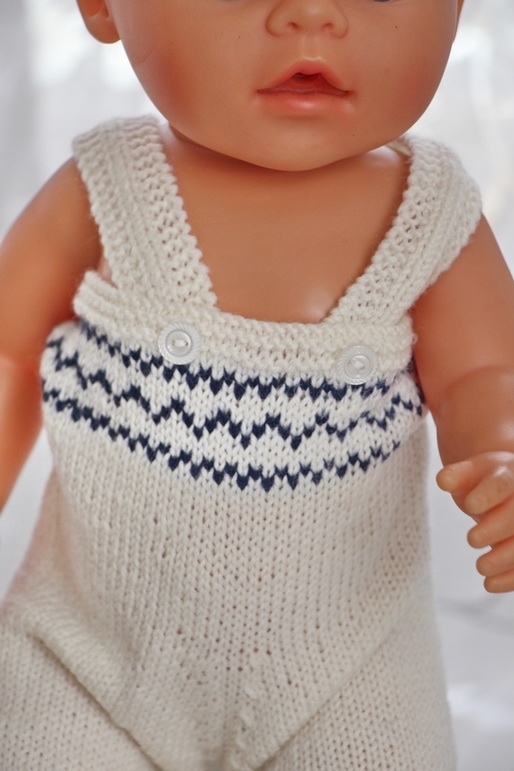 As the pattern for doll clothes have to be small I like to mix these small patterns in my design for doll clothes. The pants and the cap I have knitted in white. 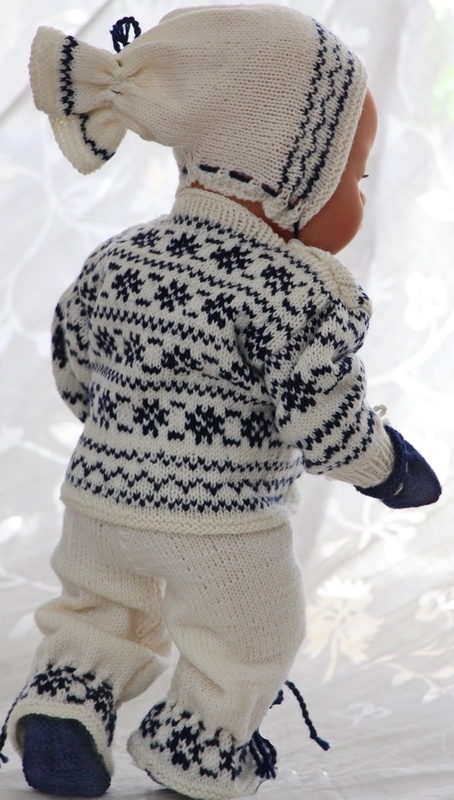 As I also wanted to use the blue color for these these clothes I knitted them by using parts of the patterns. 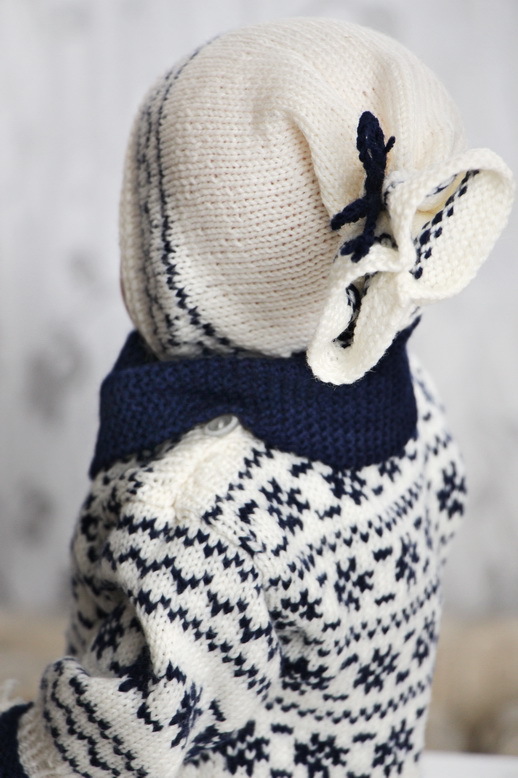 A scarf knitted in garter stitch, mittens and shoes I have knitted in blue, but you can as well knit them in white. 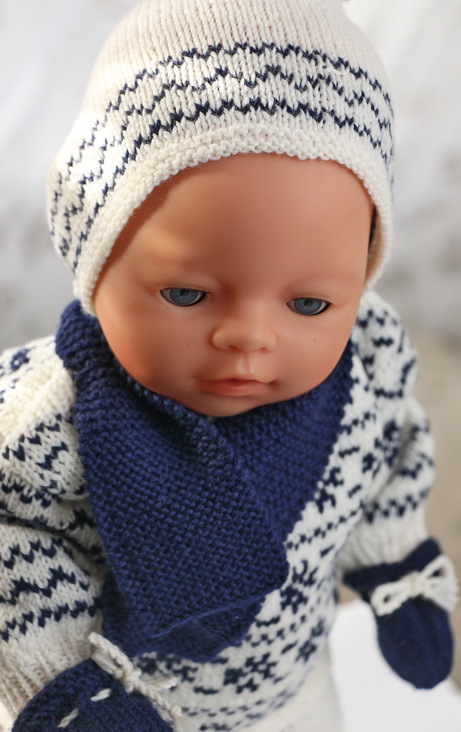 When I had finished the clothes for my doll I was pleased with the result, therefore I hope you will be happy knitting these clothes for your doll too! Sweater, Pants, shoes, Cap, Scarf and Mittens.